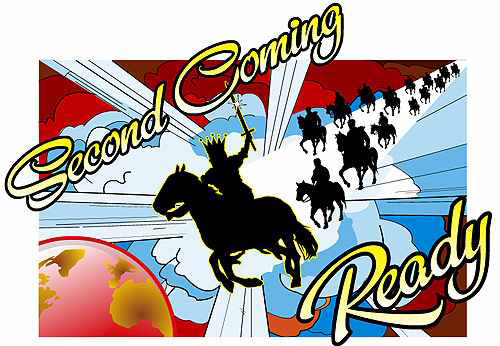 There is no more critical a matter for any person than being second coming ready. The Christian (born-again child of God) must be ready for the moment when Jesus will say, “Come up here,” as He did to John in Revelation 4:1. This preparation can be made only through dedication to the purposes for which the person has been placed on earth–to carry out the will of God. That is done through prayer and study of the Bible, then translating that prayer and study into living every minute of every day with the thought of abiding in God’s will. We are to be royal ambassadors in a foreign land. Christians are to be outward-turning, not inward-focused–i.e., the child of God is supposed to think more of others than of himself or herself while going about daily life. This doesn’t mean assuming a pious, head-in-the-clouds attitude. It means that Christians should be Christ-like, meeting and interacting with people the way Jesus did. The believer should be about helping people in material ways, but always secondarily to informing them that Jesus alone is the way to God the Father for eternity (John 14:6).